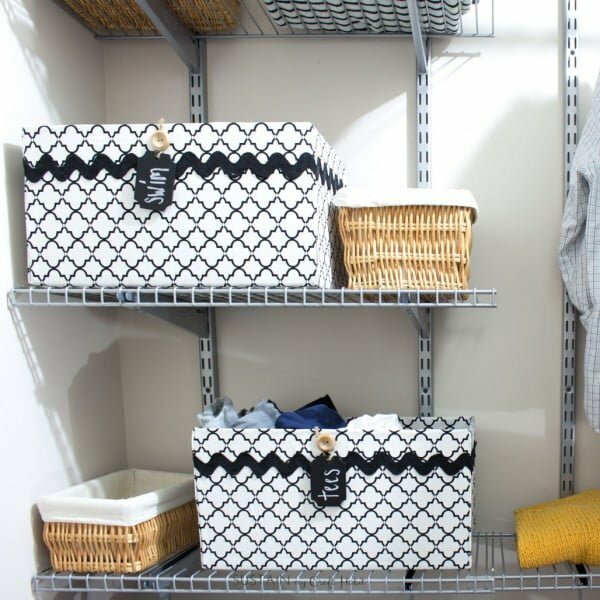 Stylish DIY storage bins are not only a great way to organize your home better. They are trendy decor items that are all the rage right now. You always need more boxes to organize the stuff around your house. And to make it count, you need beautiful bins that are stylish enough to make a decor accent. Handsome containers can cost quite a bit, especially in designer brands. That’s all the more reason to DIY. 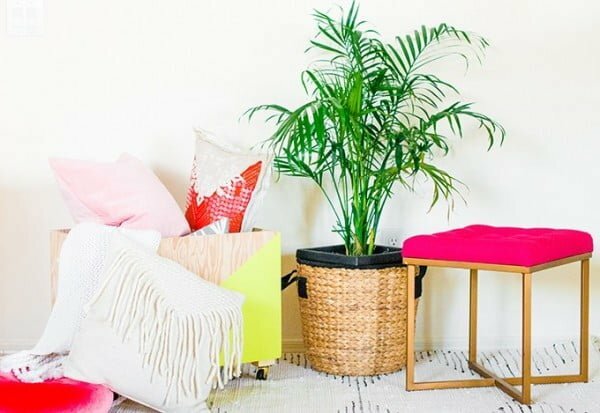 These 25 brilliant creative ideas for storage bins are what you need. You get many styles to choose from, and you can use very cheap materials too. Check it out! 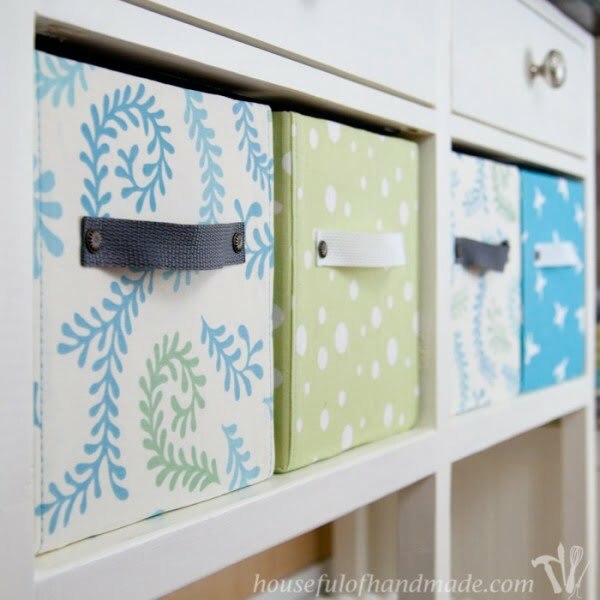 Create the perfect storage for any space with these easy DIY fabric storage boxes. Customize them for any area and with any fabric. Follow this website to learn how it’s done. Need over the toilet storage? 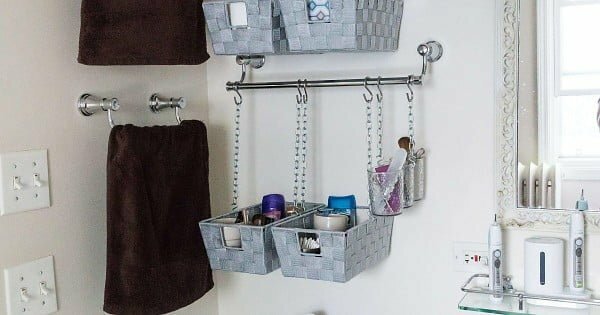 Install towel bars and hang baskets from them to make simple DIY hanging storage bins. Check out the link for the full details. 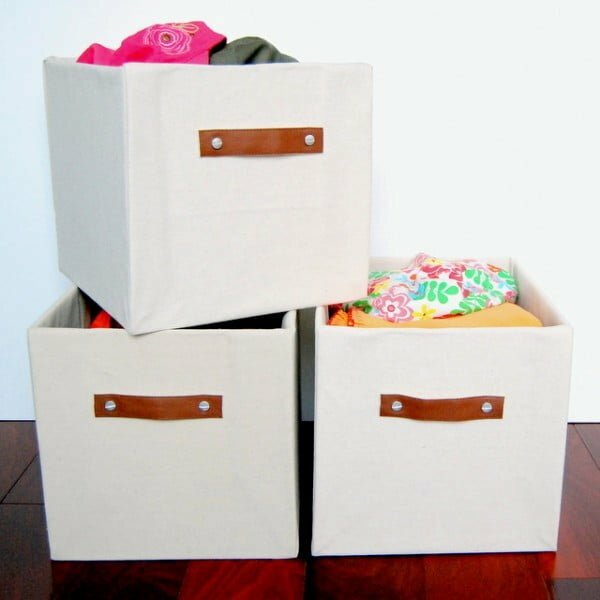 Make perfect no-sew canvas storage bins or boxes using cardboard boxes with this detailed step by step tutorial. There is even a no-sew liner. See the article to see the entire details. 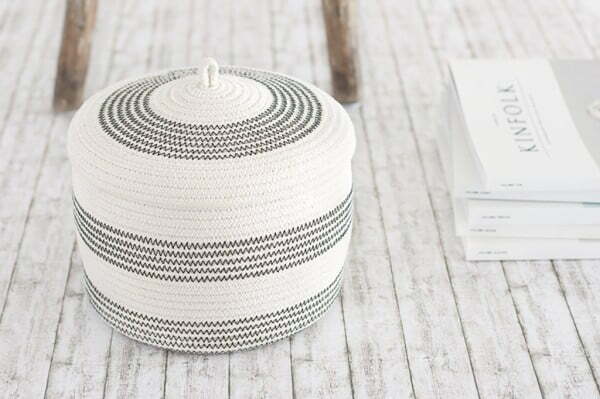 What a terrific way to show off your storage with stylish baskets you can DIY for a straightforward project idea. See this website to get the full plans and instructions. 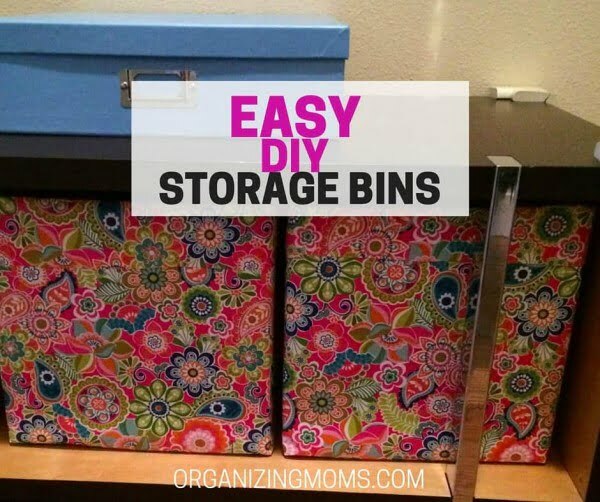 Put together these easy DIY storage bins using stuff you already have in your house. Great for hard-to-fit spaces, and budget-friendly. See the link to see how to do it. 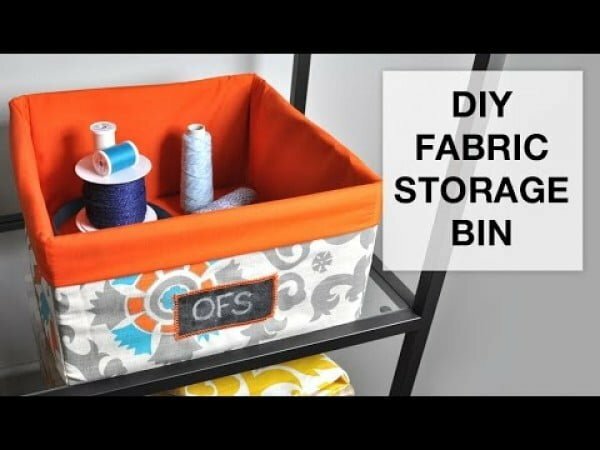 Use an inexpensive drop cloth to make a DIY collapsible storage and organization bin. One drop cloth can make an entire set. Check out the article for the complete details and instructions. 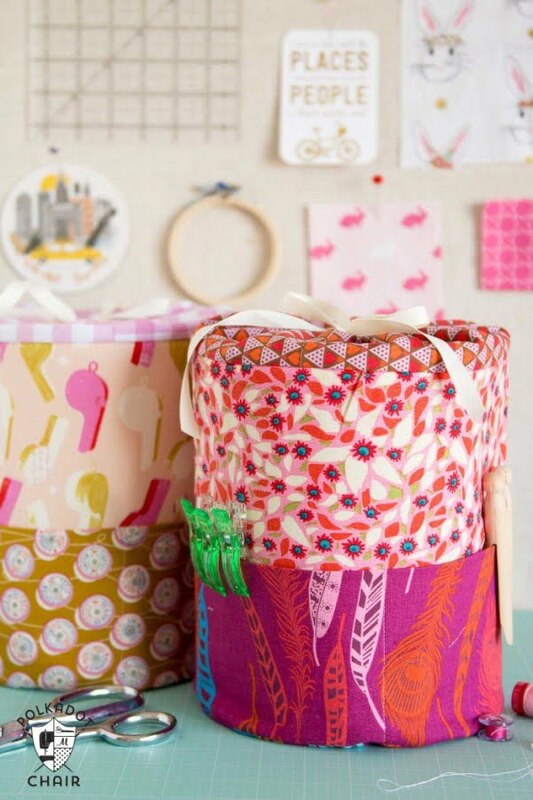 These DIY fabric storage bins are from the new book Stencil Craft by Margaret Peot. Get the tutorial and a review of this excellent craft book. Read the link to see the full details and instructions. 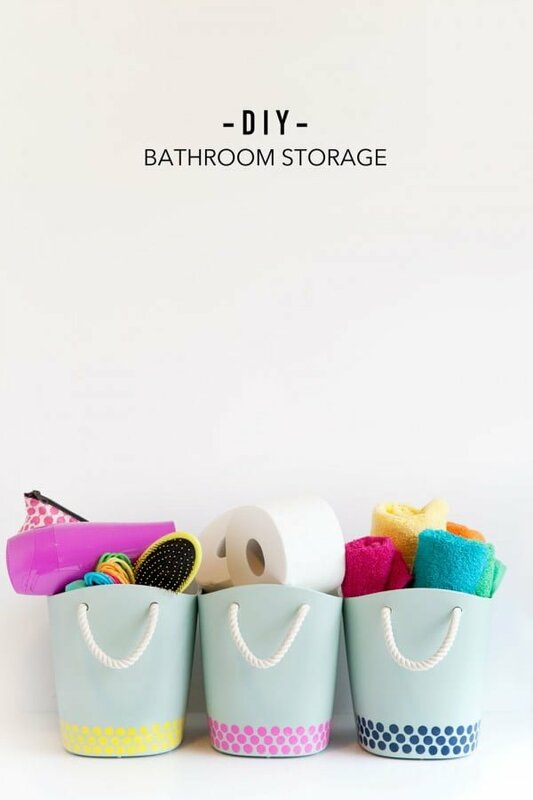 Clean up and organize your storage with these cute DIY bathroom storage bins. See the article for the entire plans. Don’t want to spend an arm and a leg on the Bulk Bins from Pottery Barn Kids? Follow these free DIY plans and build them your self for under $25 each. Check out this website to see the entire guidance. 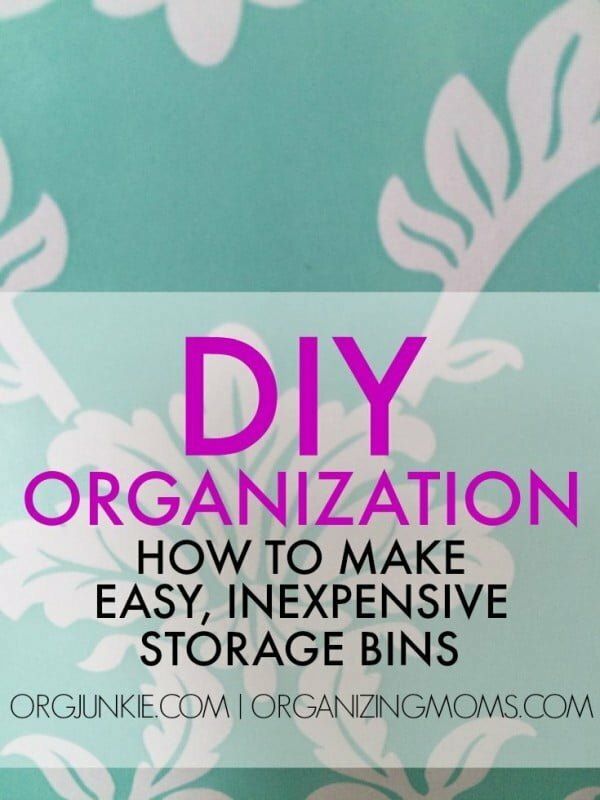 This is an amazingly easy and inexpensive idea for storage bins – you can recreate them the easy way. Follow this website to find out how it’s done. 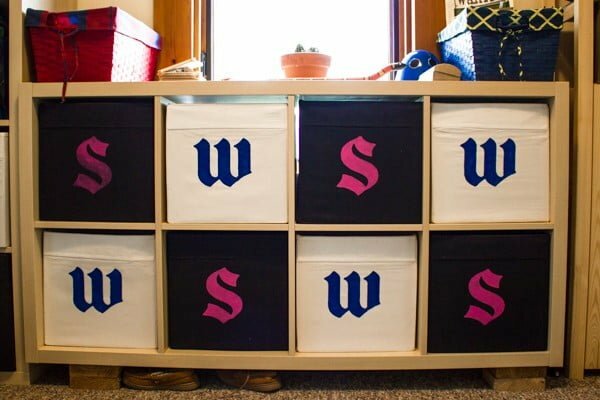 A sewing pattern to make DIY padded storage bins. 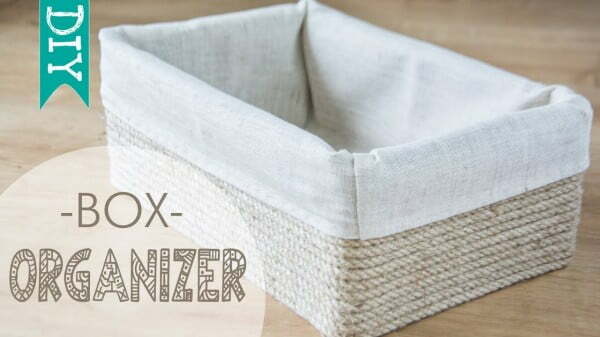 They are easy fabric baskets to sew can be made in 3 different sizes. Read this website to get the complete plans. A simple but sturdy, stackable storage bin. 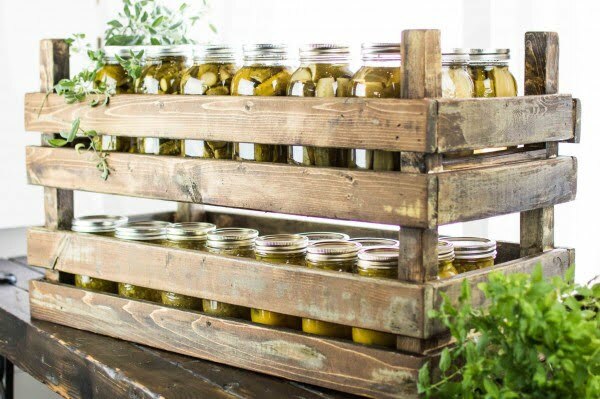 Made from wood these rustic style crates are an inexpensive DIY project that you can make in an hour. These were designed to store an overabundance of mason jars but are a home decor item you could use for just about anything. Check out the link to see the entire plans. 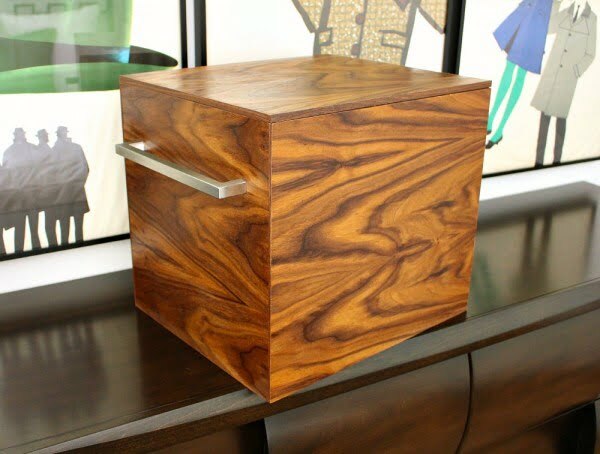 Carve out a few hours to create a minimalist wood storage bin that moves from room to room and doubles as decor. See this website for the complete details. 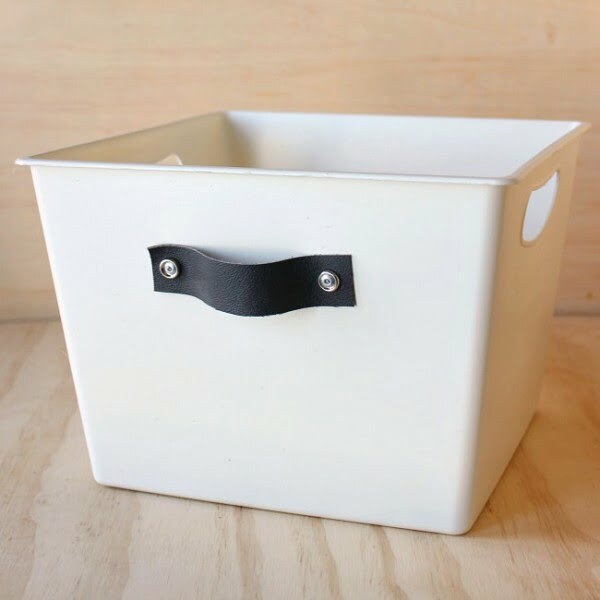 These stylish DIY storage totes from cheap dollar store bins. Perfect for storage in the front entry, pantry, playroom, and more. Check out the tutorial to get the full plans. 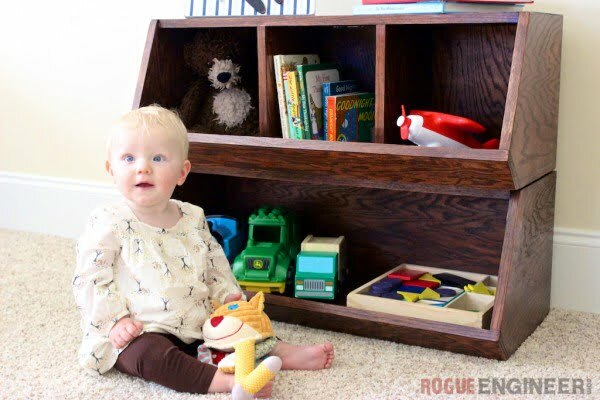 Learn how to make easy DIY plywood storage bins with walnut plywood and a mid-century modern inspired style. 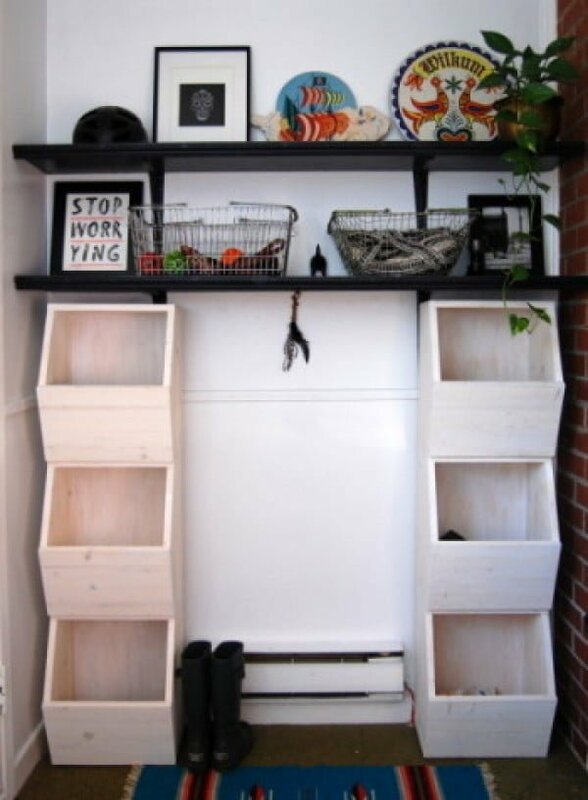 Stylish organizing DIY to corral clutter. Check out the tutorial to see how to do it. 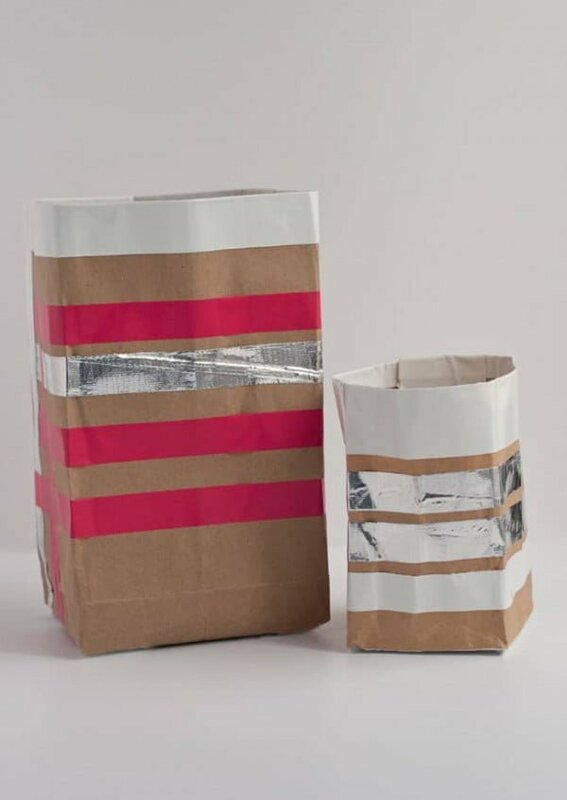 Easy DIY for upcycled paper bag storage bins, using two everyday household items. Read the tutorial to get the entire guidance. Build these DIY honeycomb storage bins on a budget. Read the link to find out how to do it. Bins on a bookshelf are a perfect organizing solution for family rooms and bedrooms. Follow the tutorial to learn how they’re created. 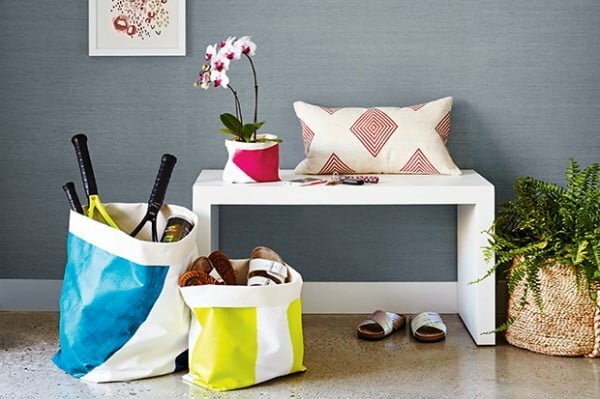 Step-by-step instructions on how to make stylish storage bins. 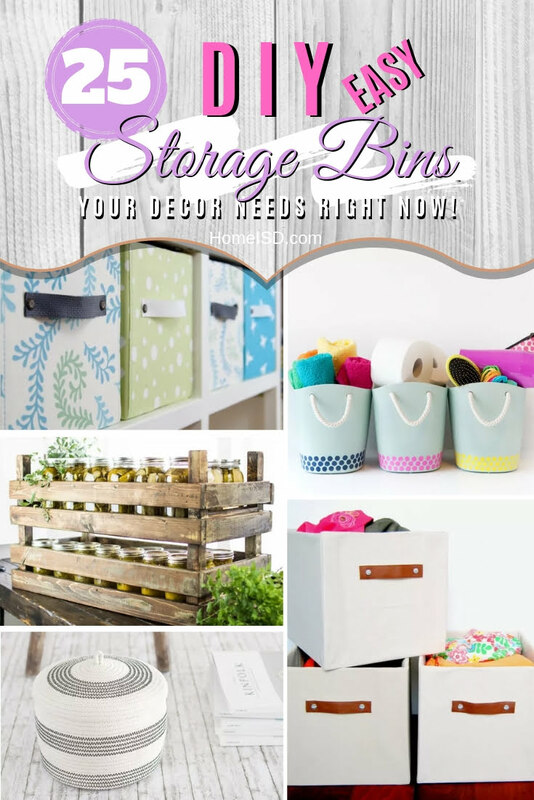 These storage bins can be customized to almost any size or style. Read the link to find out how it’s done. Reuse cardboard boxes for storage. 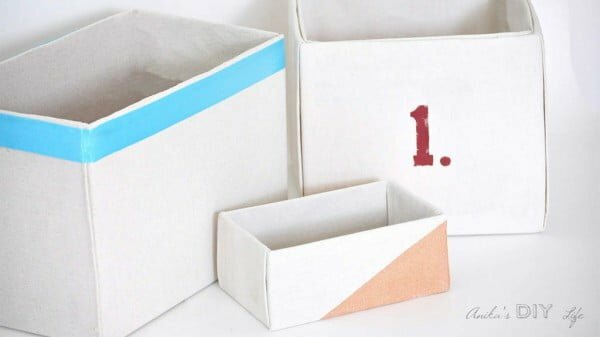 With just three materials, you can make these DIY cube storage boxes that are perfect bins for clothes, toys or other items. See the article for the complete guidance and instructions. Learn how to make custom sized storage boxes from dollar store foam boards. Super easy, inexpensive and you can decorate them to match your decor. Read the tutorial to learn how it’s done. 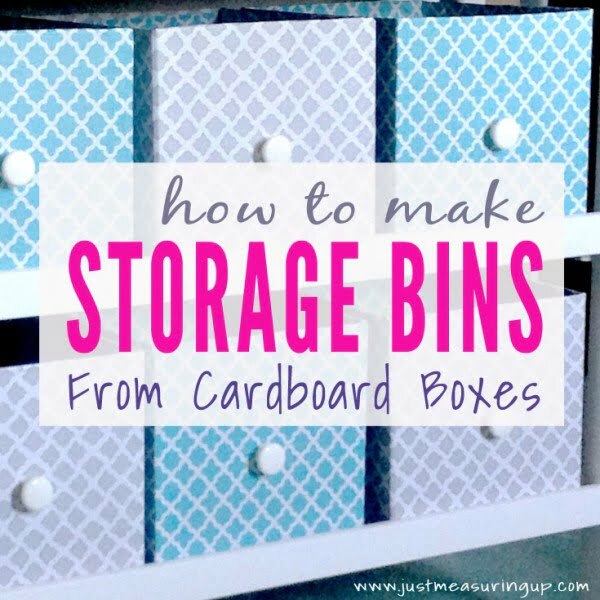 Transform plain cardboard boxes into elegant and useful storage bins. Check out the article to find out how it’s done. 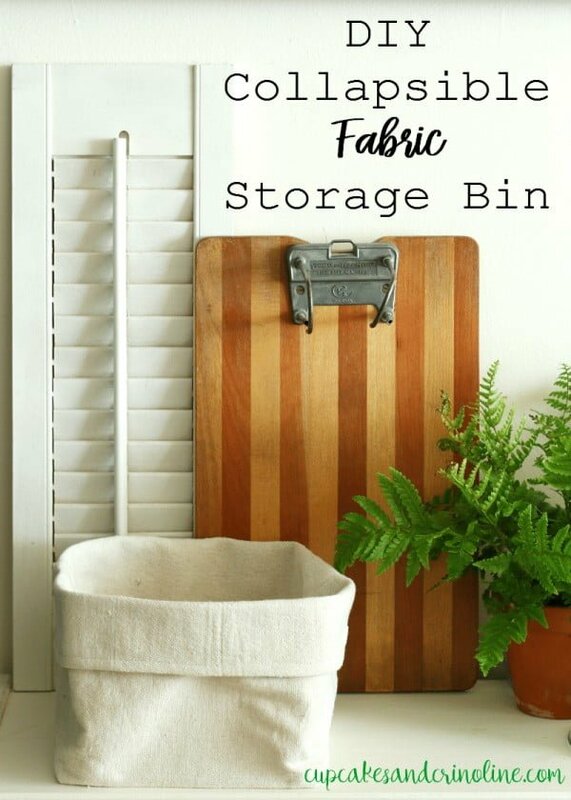 What a terrific DIY fabric storage bin tutorial as a straightforward project. Check out the video to learn how to do it. 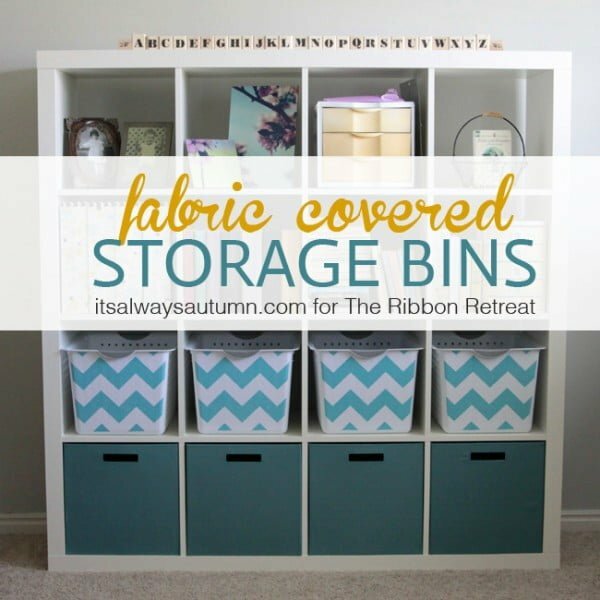 Create these cardboard fabric covered storage bins on a budget. See the video tutorial to see how it’s done. Watch the video on how to make a cardboard storage organizer box using natural materials. Great stylish look!